Jiar Ahmed is a native of Chester, PA. He moved to the New England area to attend the University of New Hampshire and graduated with a degree in Political Science. Jiar spent ten years at Boston College High School, and he was a founding teacher of the Arrupe Division (middle school). At BC High, Jiar taught social studies and worked as a counselor. He noticed that his students were trying to manage many aspects of their lives that were impacting their readiness to learn. This acknowledgment served as a seminal realization because it ushered in his transition from the classroom to work as a counselor. “I believe all students want to do well; therefore, I was deeply concerned with what was getting in the way of their success.” Trying to answer this question led him to Lesley University where he earned a graduate degree in Mental Health Counseling. He is currently working as an Adjustment Counselor at Putnam Avenue Upper School (PAUS) in Cambridge, Massachusetts. Farah Assiraj is the Upper School Director for the Boston Renaissance Charter School. She previously served as the Director of Organizing for the Boston Teachers Union. Prior, she was an ESL and lead teacher at Boston International Newcomers Academy. Her former role was the Senior Director for Research and Instruction for the Office of English Language Learners at Boston Public Schools, where she was responsible for K-12 ELL instruction, curriculum, materials, professional development, programming, research, DOJ reporting, and WIDA/ACCESS. Additionally, she is a contributing author for Benchmark Education Advance Core K-6 ELA/ELD materials. Farah is the Founder and Executive Director of Peregrinum community organization. She is the recipient of the Fulbright Distinguished Award in Teaching and Salzburg Fellowship. She served/serves on National Council of Great City Schools, MATSOL, MA DESE ELL Council, American Association for Arab Women, Boston Racial Alliance for Equity, and BPS ELL Taskforce among other organizations. Lauren is very excited to be joining the PSi cohort. As a founding teacher at Young Audiences Charter School in New Orleans LA, Lauren found a passion for bringing arts-integrated education to students. As a musician, Lauren uses her passion and years in ensembles to promote art across all disciplines in her classrooms. Her students have been featured at the Worcester Public Library and continue to create art that engages the curriculum. Outside of school, Lauren continues to pursue music through performing in a praise band, community theater productions around Worcester, and teaching Pound Fitness, a drumming-based fitness class. Caitlyn just finished her 8th year teaching at Charlestown High School. She started her tenure as a founding teacher of the Spanish unit of the school’s Sheltered English Immersion program. While she was initially trained and hired as a history teacher, she’s since moved to teaching 9th and 10th grade ESL/Humanities in the SEI program. This, she’s discovered, is her true passion. She enjoys working with recent immigrants to the United States and using her curriculum to help them make sense of life in the US while also teaching them English. In addition to teaching, Caitlyn has also been a part of many projects and initiatives at the school level, including being a member of the School Site Council, with the goal of supporting students in the SEI program. Outside of work, Caitlyn loves to travel and experience new places and cultures. Shameka Charley is a Software Development Instructor with a concentration in Quality Assurance. She’s been working in Education and Technology for over 20 years. Shameka has a Bachelors of Science Degree in Computer Science with a minor in Philosophy, and she has completed credits toward a Masters in Education from Cambridge College. 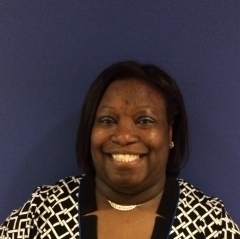 Michelle Dean is an 8th grade Humanities teacher at the Josiah Quincy Upper School in Boston, MA. She was a Teach Plus Commonwealth Teaching Policy Fellow and Boston Foundation EDX Fellow. She is the Humanities Team Leader for grades 6-12 and serves on the School Site Council. Michelle is a member of the Massachusetts Council of Social Studies and has been a presenter at the Northeast Regional Conference for the Social Studies. She was also a National World War II Museum Summer Institute Fellow and was selected to study the Pacific Theatre of World War II at Pearl Harbor, Hawaii. 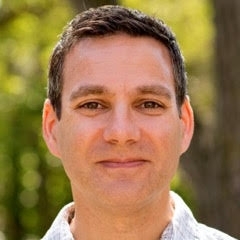 Executive Director, Equity Lab Charter Schools Inc.
Frank DeVito serves as the Executive Director of Equity Lab Charter Schools Inc., a non-profit agency that works to scale the Equity Lab educational model. Frank believes in the education of the heart and the mind. For over twenty years Frank has served as an educator and leader in public education. In the Chelsea Public Schools, he co-founded two innovative high schools for at-risk students that utilized project-based curricula and assessments that were linked to professional internships. As both a teacher and a school leader, he inspired Chelsea students to graduate and move on to higher education. Because of his bilingual and bicultural background (Honduran and Italian), Frank understands the issues and challenges that ethnically/racially diverse students and their families confront daily. Frank served on the team of the National Center for Scaling Effective Schools (NCSU) responsible for supporting the incubation and scaling of innovative practices within schools and districts that were deeply connected to their unique contexts. The Center was a partnership of Vanderbilt University, North Carolina at Chapel Hill, and the Educational Development Center. Christina Farese, Ed.D. is an educator who has focused her career on improving educational opportunities for at-risk students through curriculum, relationships, and professional development. She has spent a significant part of her career working in the Cambridge Public School district—as an English teacher, a Lead Teacher for Curriculum and Instruction, an Interim Principal, and as an Instructional Coach. At the Putnam Avenue Upper School she supports teachers by facilitating common planning times, observing and offering feedback, and planning and facilitating professional development. Prior to Putnam Avenue, she worked at the Cambridge High School Extension Program (HSEP), an alternative program serving at-risk students who have been unsuccessful in the traditional environment. During her time at HSEP Christina worked extensively with teachers to design curriculum, modify instruction, and meet the varied needs of struggling learners. Additionally, Christina teaches at Endicott College, Boston, which serves a diverse population of adult learners; courses have included: Introduction to College Writing, Seminar in Academic Inquiry, Transitions to Academic Writing I and II (ELL), Applied Research Methods, and Thesis I and II. Rhianon Gutierrez was born and raised in Southern California to an artist father and educator mother. In California, she focused on film production, directing and producing social issue narrative and documentary films, and disability advocacy, working with various local and national disability rights organizations. Since 2011, Rhianon has taught and consulted on media arts, technology, and Universal Design for Learning (UDL). At present, she is a Digital Learning Specialist in the Boston Public Schools technology department, where she builds district-wide partnerships around inclusive uses of technology and leads and supports blended professional learning for teachers and school and district leaders. Rhianon is a lifelong learner who enjoys collaborating with others to design learning experiences that are learner-centered, inclusive, and playful. Michele loves her job as a high school business teacher. She developed the Personal Finance and Entrepreneurship programs and is passionate about improving outcomes in financial literacy and employment opportunities for the diverse population she serves. Michele regularly welcomes the community in her classroom and enjoys organizing the annual Career Fair, which provides students with the best career, training, and educational opportunities in the area as they formulate their post-secondary plans. She also serves as the job coach and has the privilege of writing resumes with students, which allows her a deep understanding of their lives and goals. This is her 8th year as a teacher and prior to this she spent over 20 years living overseas where she adopted her daughter. 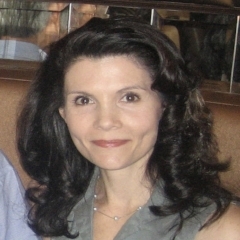 Michele holds a bachelor’s degree in Business and a master’s degree in Education. She is a Teacher Advisor for the Learning Economics and Finance Network (LEAF). Meghan Harrington is entering her 9th year in education, having worked within Boston Public Schools at charter, innovation, and pilot schools. She is thrilled to continue her development as an educational leader. As a founding member of UP Academy Dorchester, Meghan was part of a team that supported students in earning the highest one-year increase in ELA and Math proficiency in Massachusetts state history. She also authored ELA curriculum, developed and lead professional development, and engaged in school leadership training. Her undying belief in, and love for, her students drives the continual growth of her practice. She has worked to develop her and her students’ awareness of systemic injustice, and how our identities shape both our world view, and the world’s assumptions about us. Meghan was recently a Fishman Prize for Superlative Classroom Practice Honor Roll recipient. She majored in Elementary Education and Musical Theatre at Saint Michael’s College, and earned her M.Ed. from Southern New Hampshire University where she was inducted into Pi Lambda Theta. Meghan is excited to use her passion for educational access, racial justice, and her love for the arts to continue to grow as an equity-focused leader. Emmy Award® winning musician, choreographer and community leader Wyatt Jackson began performing throughout the New England region with his own hip-hop crew in the 1980s and worked with the acclaimed Boston Youth Theater for seven seasons. He was later cast in the European tour, Body and Soul, where he worked with Tony Award® winner George Faison, Mercedes Ellington, and European avant garde producer and director Andre Heller. Upon finishing the tour, Jackson landed a recording contract with Warner Brother Records, under the corporate direction of actor, Michael Douglas. The hip-hop/R&B duo, HERE AND NOW, mixed vaudeville style story-telling with popular music production. With his firm, ImagiData, Inc., (imagidata.com) he produces creative content and media for CBS, PBS, Vh1, MTV, BET, the Boston Public Health Commission, and the Strand Theatre in Boston. Mr. Jackson is a life-long practitioner of the Science of Success/Think and Grow Rich philosophy by Napoleon Hill and is currently getting his certification to be an instructor of the philosophy by the Napoleon Hill Foundation. While in town, Wyatt collaborates with CBOs and public schools to build programming designed to promote artistic expression and wellness in the lives of youth and families. This is Bernie’s 10th year of teaching in Boston Public Schools. In addition to being a Boston Public School teacher, she is a Boston Public School graduate. As a young child, she attended several Boston Public Schools including Richard J. Murphy School, Thomas J. Kenny School, and Hyde Park High School. After graduate school, she longed to return to Boston Public Schools to give back to the community where she grew up, which has helped to shape some of her views about education. As a teacher in the district, Bernie has been involved with various educational initiatives such as TeachPlus Policy Fellows, NAACP Education Board Member, T3 Teacher Leader, BTU Teacher Fellow, Teacher Advisory Cabinet for the Department of Education, and in 2015, was awarded the Social Studies teacher of the year for the Commonwealth of Massachusetts. All of these experiences have helped to develop her leadership skills and confidence in her career. Bernie’s goal is to continue to be a life-long learner by working collaboratively with colleagues on daily basis. Kendra Lueken, Lower School Director (K1-2) at Boston Renaissance Charter Public School, is entering her 10th year as an educator and 3rd year as Lower School Director. She has taught 2nd grade and served as ESL lead teacher in charter schools in Lawrence and Boston. Before that, Kendra taught in New York City public schools. Kendra is passionate about equity and access to a high quality education as well as educating the whole child. She speaks German fluently and is conversational in Spanish. Kendra lives in Roslindale with her husband and two kids. Taheera has worked with children in many capacities and for many years. More recently she has been moved to take on more leadership roles where she teaches. Every year she makes a commitment to herself, her children, and her community to grow as a leader and to share the knowledge she has gained with family, students, and community. It is Taheera’s mission to grow in a professional capacity as well as enrich the lives of students and their families. At the center of her life is family. Taheera is the mother of three amazing children ages 18, 15, and 11, and the wife of an amazing yoga teacher. In conjunction with teaching and caring for her family, Taheera has decided to train to become a yoga teacher. Armed with the knowledge gained during PSi and the yoga teacher training, Taheera will take on the challenge of changing her community for the better one breath at a time. Jeff Shea is a high school social studies teacher in Belmont, MA. Jeff teaches Modern World History and Global Leadership, an elective he developed that has students exploring social justice and human rights issues. He looks for every opportunity to allow students to be creative, to think critically about global issues, and to hone their research skills. His hope is that this approach also makes learning fun and inspires students to make a difference in the world. A lifelong learner, Jeff completed his doctorate from Northeastern University in 2013 and has taught graduate school education classes in Madrid over the summer. Jeff served as the 2015 Massachusetts Teacher of the Year. Glen Sherman is the elementary mathematics coach for the Boston Teacher Residency, based in the Dudley Street Neighborhood Charter School in Roxbury. In that role, he teaches the math methods course for BTR teaching residents and provides instructional coaching for both teachers and residents. His work in education includes ten years teaching 3rd and 4th grade in two elementary schools in the Fields Corner neighborhood in Dorchester—where he served on a variety of instructional and math leadership teams, provided professional development at the school and district levels, and served as a mentor teacher in the BTR—and six years as a Math Coach in the Cambridge Public Schools. He has also served as adjunct faculty at Lesley University. His work is firmly rooted in the belief that all children have the potential to be powerful mathematical thinkers and problem solvers.